Whew, that’s a long title! I originally planned to make three separate posts, but ultimately decided to do a full meal post. So, here’s what happened, right? I went to Dillons to get sushi for lunch. I got more Jonathan apples since they were on sale. And right next to the apples were anaheim peppers. They ignited my inner Iron Chef. 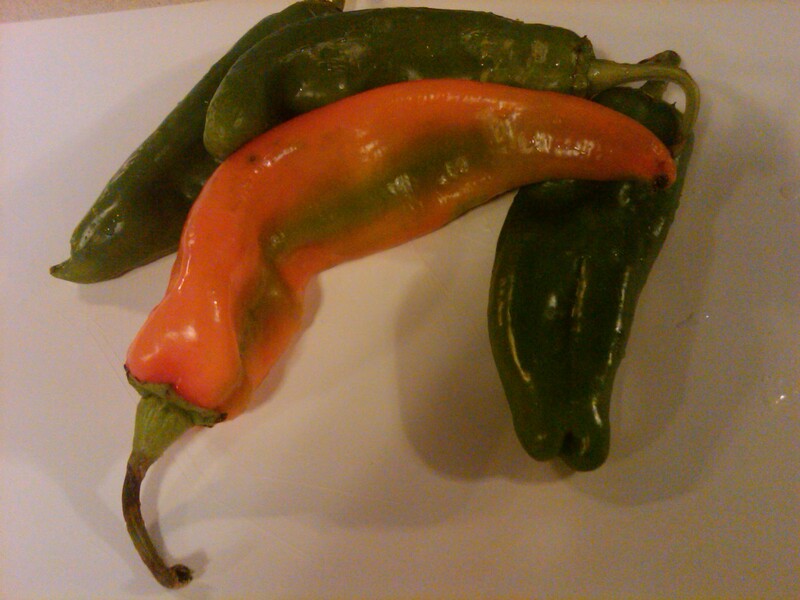 I bought four peppers and planned to create a dinner based around one ingredient. This will be a disaster, right? My inspiration. For the record, I got the orange one to mix it up. I didn’t know if it was under-ripe, would taste different, etc.